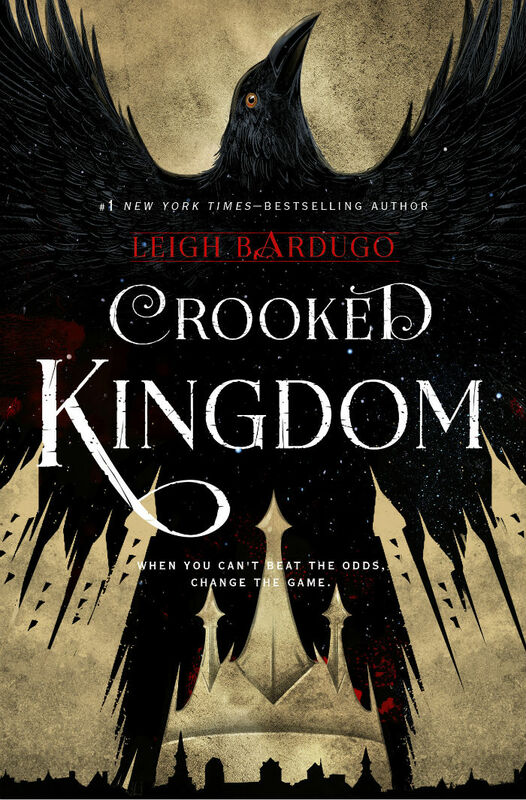 Like the infamous Bechdel test and its similar archetypes, Leigh Bardugo’s Six of Crows groundbreakingly checks off a multitude of categories within the broad scope of diversity. Reading Six of Crows was life changing because never before had I read not only a YA series, but any fantasy series with so much representation written seamlessly within its pages. There are multiple types of diversity, though some of them are considered spoilers, that Six of Crows encompasses, such as race and ethnicity, sexuality, religion, and psychology, as well as being inclusive towards people with disabilities. Six of Crows, at its core, is about a heist. Bardugo manages to build a fantasy world filled with unique magicks, a found family of anti-heroes who don’t always get along and whose schemes seem to never quite work out the way they planned, and a seemingly impossible robbery. What, exactly, does the Bechdel test have to do with Six of Crows? Well, the Bechdel test simply ascertains whether or not a work of fiction depicts two women talking about something other than a man. Along with the Bechdel test is a subset: the Mako Mori test, which is whether or not there is at least one female character that has her own narrative that isn’t about supporting a man’s story. Not only does Six of Crows pass both the Bechdel and Mako Mori tests, but it stands to elevate them to a new level by incorporating diversity into the mix. The breakdown of diversity and inclusivity within Six of Crows, while not difficult to get a grasp on, is not so simply put into words without detailing major spoilers. Some reveals below are considered plot twists, confidential character attributes, as well as plot progression. If you have yet to read this spectacular series, please take the time to visit Amazon or your nearest bookstore so you’ll get to live the experience for yourself. Inej Ghafa, ‘The Wraith,’ is Kaz’s second who uses her past as an acrobat and her prowess with knives to get the job done quickly and quietly. Nina Zenik is a soldier and a heartrender, someone who can control a person’s internal organs, such as slowing a heartbeat or making someone pass out/die from taking the air out of their lungs, who just so happens to be plus size. Jesper Fahey is a cocky gunslinger with a penchant for gambling and a flirt. Matthais Helver is a Drüskelle, a Fjerdan soldier trained specifically to track and neutralize those with magic called Grisha. Finally we have Wylan Van Eck, the runaway sheltered son of a mercher who hires the Dregs. Shy and naive, Wylan is a cinnamon roll too pure for this world, basically. Now on to the inclusivity within the pages of the duology. First, when talking about diversity, it’s usually about race and ethnicity. SoC takes place in a fantasy world made up of multiple countries: Ravka, Kerch, Fjerda, Shu Han, the Wandering Isle, and Novyi Zem. Two of the main six characters are people of color, both of which are from different countries within the Grishaverse. Inej is Suli, who are a nomadic people of Ravka, with deep brown skin and dark hair. Based on her descriptions throughout the duology, Inej could be coded as someone from the Indian subcontinent. Jesper, who has dark brown skin, is from Novyi Zem, which was inspired by Australia, so he could be interpreted as aboriginal. Later on, characters from Shu Han, who are also POC and could be read as East Asian, come into play but aren’t part of the original six. SoC is LGBT+ inclusive, not only in the original six, but in secondary characters as well. The thing that stands out about the inclusivity is that in this fantasy world, Bardugo seamlessly fits LGBT+ into it so effortlessly that it doesn’t need to be explained why they are LGBT. Their plotlines aren’t about their sexualities; they’re simply treated the same way as the characters who are straight. Nina flirts with not only men, but women as well while Jesper flat out says he enjoys the company of both men and women. Both Wylan and a secondary character who won’t be named are gay. A widely thought fan theory is that both Kaz and Inej are asexual, due to their aversion to touch and being intimate with anyone, but this representation is trauma-based asexuality and strictly headcanon. Religion plays a big part for Inej, and her beliefs are threaded throughout her personality in that she tends to say Suli proverbs and her knives are named after the saints of her faith. Likewise, Matthais has faith in his country above all else. His patriotism is a major part of his personality and plotline throughout the duology and Fjerda itself is centered around religion and faith. It is rare in both YA fantasy and general fantasy for the main character to have a disability. In Six of Crows, there are two: one apparent and one non-visible. Kaz’s cane is mentioned throughout the series, and the fact that it isn’t ornamental is shown time and time again as he utilizes it. Bardugo never lets the reader forget that Kaz is never without it. Unlike Watson in Sherlock Holmes, he has a prominent limp throughout the duology. Wylan is an artist and a musician, a pyrotechnician in training, and has a non-apparent learning disability. It is revealed as a major plot point at the end of the first book that he is a nonreader. The way Bardugo writes about everything he can do, such as drawing a map that the crew uses in their scheming, highlights the fact that a disability is what someone has, not what someone is. 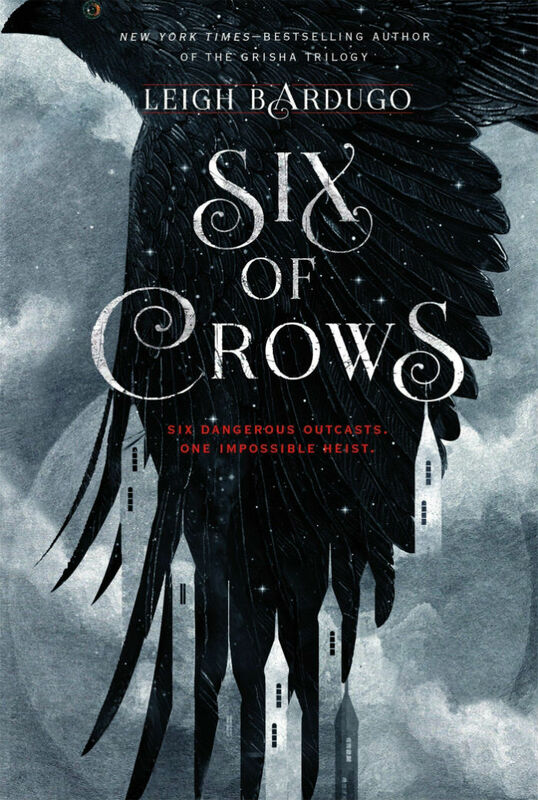 Six of Crows delves deep into psychological diversity as well by not sugar coating trauma and the aftermath of the plotline progression. Kaz has PTSD throughout, as well as an aversion to touch that is so severe he faints at one point. Inej, who was essentially trafficked into Kerch and sold off to a brothel, deals with that fallout especially when she has to face her past head on. Fight or flight plays a major role in SoC and its sequel, Crooked Kingdom. If there are any other YA fantasy series, or even general fantasy series, that pass my Six of Crows test of diversity, I’d be the first in line to read them. In order to pass, a series would need to have representation in all areas discussed above. It’s a tall order, and looking back at it now, the Bechdel test seems easy in comparison, despite the fact that most media doesn’t pass it. The bar is set high, as it should be, because the more diverse a series is, the more its audience will see themselves represented within its pages. Six of Crows is a duology that takes place within the realm of the Grishaverse, along with the Grisha Trilogy. Bardugo also has a book of fairytales from this universe as well, called Language of Thorns. Coming in 2019 is the highly anticipated King of Scars, the first book in a new duology that follows Nikolai Lantsov, who shows up in both the Six of Crows duology and the Grisha Trilogy.